Find information in Ft Lauderdale, FL and other fun things to do. View our list of attractions, activities, events, restaurants and visitor information. 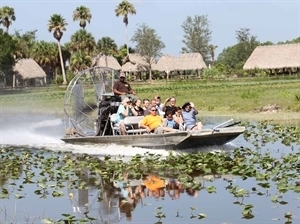 Seminole Tribe of Florida Attractions, Destinations & Events Culture, History, Adventure! Visit the “Unconquered Seminoles” Ah-Tah-Thi-Ki Museum In our language, Ah-Tah-Thi-Ki means “a place to learn.” We invite you to come to the Big Cypress Seminole Indian Reservation and learn about our exciting history and culture. Presidential Aviation is a private jet charter company who also provides aircraft management and maintenance, and aviation consulting to businesses in the industry. With worldwide operations, Presidential Aviation delivers a consistently high quality, premium jet charter experience. Safety and security are non-negotiable. Customer service is incomparable. Manhattan Music provides live musical entertainment for special events, such as weddings, social and corporate functions.